Adapted from the original score for two violins, cello and basso continuo. Version 1.10 (2015-03-19): corrected a misprint in the music. The oboe part can be played by a tenor recorder player with average skills. Divisions of the recorder line are editorial. Version 1.10 (2015-02-25): corrected a little misprint in the flute/recorder part of the first movement. Thanks to Farid for having pointed out the question. There is a riddle in the first movement of this sonata. It occurs at end of both repeats, where the flute part bears two different lines: the upper one is a minim repeated three times (three bars) the other walks by quavers (eighth notes) matching the bass line. The flute plays both lines using the minims as appoggiature of the real melody line; that is, the quavers. Whoever knows a certain answer or has a better guess, please let us know. The original D major version contains adaptations of its range – which reaches the low D – to that of a treble recorder. The F major version is entirely editorial. Adapted for ATB recorders from the original score in Bb major for cellos or viols. This is the first movement of a trio sonata in A major for two transverse flutes doubtfully attributed to Quantz. I simply transposed it in Bb major and slightly adapted the bass line for a bass recorder. It is apparent from the title that this sonata was conceived for an oboe; nevertheless; it works quite well for a treble recorder transposed a tone up in A minor with the addition of minor adjustments. Thanks to Bruno for drawing my attention to it. The theme of this canon is from Schubert’s Winterreise Lied «Der Leiermann». Version 1.50 (2015-02-08): corrected a few oddities in the musical structure, mostly in the bass line. This is an arrangement for recorders only – made by Jan Jaap Langereis – of the original concerto for four recorders in G and strings (see the related-entry link for more information). 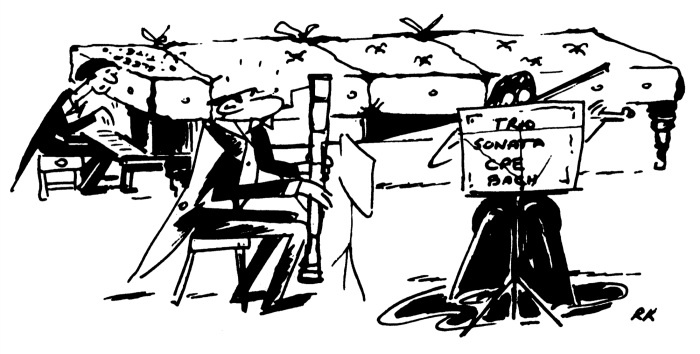 The division between «Concertino» and «Concerto grosso» implies that the four treble recorders – which belong to the concertino – should play solo, while the lower recorders, belonging to the concerto grosso, can be doubled ad libitum. Arranged for recorders following the autograph manuscript. 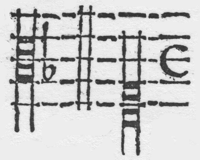 This sacred canzonet has been transcribed from the harpsichord tablature, which contains original divisions. This dance was first published in Mainerio's Il primo libro de balli a quattro voci (Venice 1578). The original score for two flutes or violins has been transposed a third above for two treble recorders. There are few English songs which afford more room for speculation than this one. Its origin and its authorship are both in doubt, for it is one of those songs which are found in two countries, and while it has been ascribed to a particular author, there is presumptive evidence that it was popular long before he was born. «What if a day» is well known in Holland under the title of «Berg op Zoom», in which shape it will be found in Kremser’s Altniederlandische Volkslieder. Here it is a patriotic song of splendid martial vigor. But it is also found in a Dutch publication of 1647 under the name of «Essex’s Lamentation». Furthermore, Herr Daniel de Lange, a distinguished Dutch musician and Director of the Amsterdam Conservatory of Music, informed the writer that Holland had few if any original folk-songs; that most of those current there could be traced back to an English, French or German origin. From these facts, it would seem probable that the tune is English and was carried over to Holland by some of Elizabeth’s soldiers who fought in the Low Countries. There is some doubt as to the authorship. In one or two early collections it is assigned to Thomas Campion, but that means nothing, for editors were flagrantly careless about such things at that period and much later. Playford was the most careful of them, yet the song «Why should’st thou swear» was assigned to no less than three different composers in three successive editions of his Ayres, all published within seven years. Neither words nor music of «What if a day» are to be found in the collection of Campion’s songs, and from the dates of references to it and the similarity of its words to older songs, it may very well belong to a much earlier period than the beginning of the seventeenth century, when Campion lived. The source of this piece is Six Concertos in seven parts for two violins and violoncello obligate with two violins more a tenor and thorough bass (Benjamin Cooke, London 1740). Alessandro Scarlatti had been dead for fifteen years before that date and looking at the structure of the concertos we are quite sure that these pieces were not originally conceived as concerti grossi by the composer. 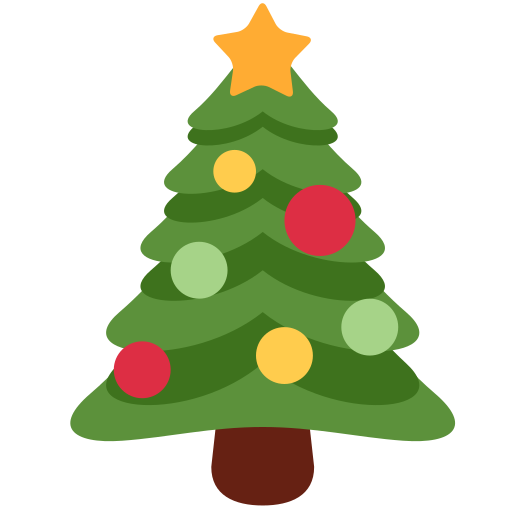 Version 1.50 (2015-01-30): Revamped layout and corrected a mistake in the music: I thank Jan Jaap for pointing out the mistake. The 16-bar melody is taken from Edwin H. Alton’s Metodo facile per flauto dolce soprano (1971). The bass recorder is ad libitum and may be omitted from the performance. Version 1.50 (2015-01-24): several improvements to the treble recorder parts have been added. This arrangement was conceived in the recorder class of Prof. David Bellugi at the Conservatorio di Firenze. Our edition presents – beyond the faithful transcription of the original scoring for two violins, violone and continuo – an arrangement for two treble recorders, cello (or similar instrument) and continuo plus another adaptation for SSB recorders and continuo. 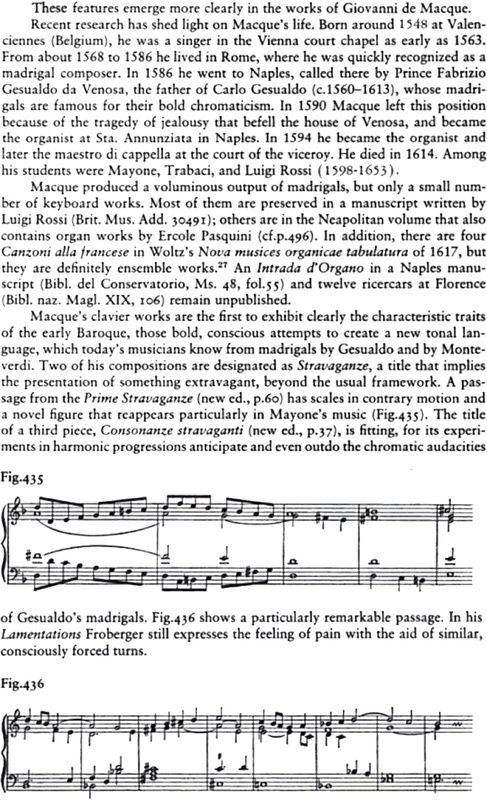 The continuo realization is editorial. This composition is found at the end of both part-books of the collection. It is based on a retrograde canon that praises the dedicatee, Cardinal Francesco Maria Brancaccio, in two ways: the most evident is given by the canon singing «Franciscus Maria Brancatius» throughout the piece; the second is subtler and relies on the early technique of transforming the dedicatee’s name in solmization syllables in the same way used by Josquin in his mass Hercules Dux Ferrariae. The way in which Giovanni Gentile managed the canon with all its technicalities shows that he was a quite skilled – though unrecognized –composer. The solmization syllables in the transcription are editorial. That allows the performers to play the duo in two different keys just switching to the second clef. Using the clef at left, the music will result a fifth lower than using the main key, which is the right one. Following this rule, we trascribed each ricercata twice. You may read the whole foreword to the reader here. This ballet by Morley is based on the canzonet So ben mi ch'a bon tempo by Orazio Vecchi found in his 1590 Selva di varia ricreatione. Vecchi’s piece is itself an arrangement of prius factus material. Our edition presents the faithful transcription of Morley's original 1595 print and its textless version, useful for non-singing players. Despite the fact that this piece was conceived for viols, it works well with low recorders too, providing the two lowest parts are played on two bass instruments, like viols or cellos. The title «Da pacem Domine» does not seem to be related to the well-known melody (see a list of pieces based on that melody). Also editorially transposed a note above. In all likelihood, this sonata was conceived for a treble recorder in G; nonetheless, it is suitable for a common treble recorder as well. A transposed part is provided to ease the performance on a recorder in G.
Arranged from the original score for strings with editorial divisions. Version 2.00 (2014-12-21): revamped layout and added all the wanting files. Song has been sought and invented for the sake of pleasure, but it can be useful for many things besides; from this I do not exclude jesting, provided that it may be mature and honorabie. Moreover, jesting is more praiseworthy and has true merit if it occurs with dignity and is selected for a favorable moment. Some relate such stories about Josquin des Prez, and it is of such a kind which we are now going to tell. Louis XII, the French king, is said to have had a very inadequate voice. He had formerly been pleased by some song and asked the chief of his singers if there was anyone who would compose a song in several voices in which he could also sing some part. The singer, wondering at the demand of the king, whom he knew to be entirely ignorant of music, hesitated a while and finally decided what he would answer. «My King», he said, «I shall compose a song in which your Majesty will also be given a place in the singing». The following day, after the King had had breakfast and was to be refreshed with songs, according to royal custom, the singer produced this song, composed in four voices, which we shall soon subjoin. In it I do not approve the skill of his art so much as I praise industry joined with art. 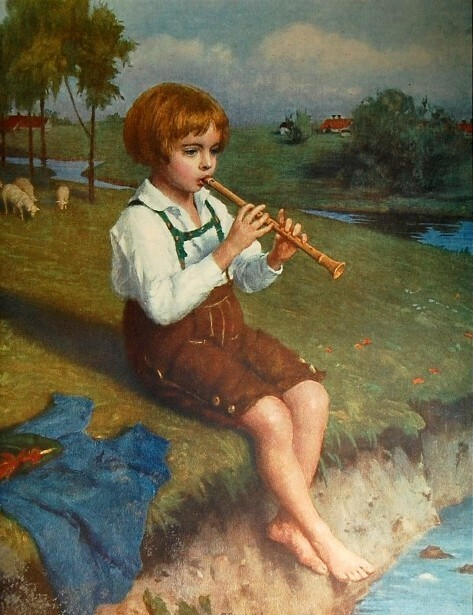 For he had composed the song so that two boys would sing very lightly and delicately the cantus, taken from a single theme, evidently so that the exceedingly thin voice of the King would not be drowned out. He had given the King the next voice, notated on one continual tone in the range of the alto, a range which would be suitable to the royal voice. Not content with this device, (he regarded everything so zealously in a matter indeed small, but through which he made the king friendly to him), and so that the King would not waver in pitch, the composer, who was going to sing the bass, arranged this bass voice so that at regular intervals he would support the King at the octave, on the alternate tone of the half tempus. But the octave is like the unison, through which octave the voice of the King was helped exceedingly. The King laughed merrily at the trick and gladly dismissed the composer with a present and with the desired favor. I said that jesting of this kind pleases me. But now let us hear a rare miracle, the King himself singing with his singers. The text was in the Latin tongue, in that mutilated speech in which France, having deserted the acient tongue of the Gauls, more truly stammers than it speaks. But everyone shall be free to write what he wishes under the notes. Our edition contains the transcription of the original score for generic descant instrument, viol and continuo instrument, and an adaptation for descant and bass recorder together with continuo instrument. La sol fa re mi is probably the most famous solmization series exploited as a compositional obbligo. The theorist Heinrich Glareanus states that this famous syllable series derived from the phrase «Lascia fare mi» that Cardinal Ascanio Sforza of Milan used when making promises that he very seldom kept. Josquin – the first composer to use this obbligo – was in the service of Cardinal Ascanio Sforza in the penultimate decade of the fifteenth century and the theme could have derived from the barzelletta «Lassa fare a mi, non ti curare» developed from Ascanio’s phrase and attributed to Serafino Aquilano, who was also in the service of the prelate and a great friend of Josquin. Furthermore, Porta in his mass added to this obbligo the canonic one. Three parts ideally sing «La sol fa re mi» in canon (with the Agnus Dei words): the antecedent (T3) is followed by two consequents, T1 at the unison after three breves and T4 a fourth below after one breve. This motet is textless in the original print of Byrd's Gradualia (1610); hence it was probably thought there for an instrumental performance. Version 1.50 (2014-12-07): editorially added all the continuo figures and corrected a few mistakes in the music. Arranged from the original score for two violins and continuo. 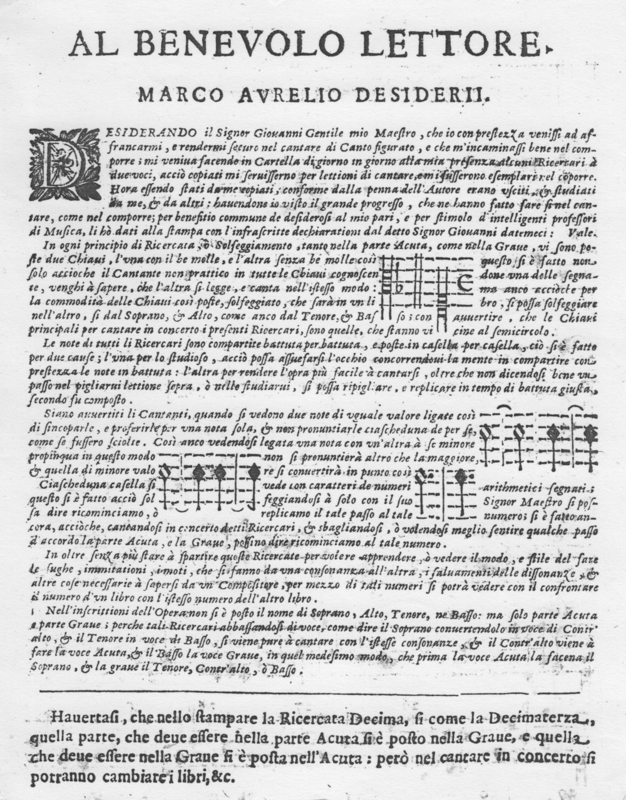 The Folia variations by Falconieri are interesting because stylistically they can be placed between the Gamba ricercar by Ortiz (Naples 1555) and the seminal Follia by Arcangelo Corelli (1700). Falconieri’s work diverges from the former but does not resemble the latter yet. With editorial divisions of all the parts. Also editorially transposed a tone above.